I love smoothing body oils on my skin after I get out of the shower. The way they lock in moisture and subtly scent my skin starts my day with a positive outlook and at night, guides me to sleep. When body oils are made with all natural moisturizers, I love them even more. Add a beautiful scent derived from organic and wild crafted essential oils and absolutes, then I’m smitten. 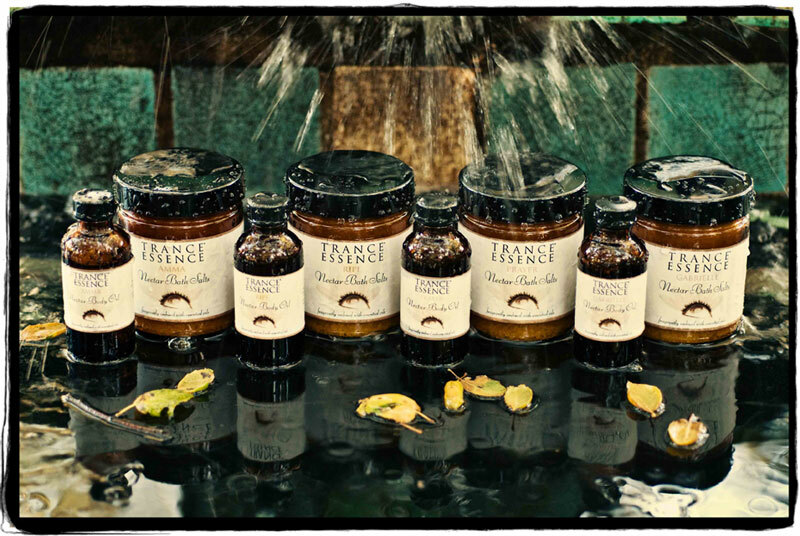 Trance Essence has launched their Nectar Bath & Body collection which features body oils that satisfy my above preferences. Rose hip, evening primrose, jojoba, macadamia, and sweet almond oils are the nourishing hydrators in the Nectar Body Oils, each one with a distinct and lovely aroma. Prayer Nectar Body Oil was the first of the four that I sampled, and I was instantly intrigued. Prayer has a soothing presence and all I wanted to do was apply this oil to my face so I could feel its comfort, intensely. Wildcrafted frankincense, organic Bulgarian lavender and organic rose geranium are the essences that bring Prayer to life, which to be honest, was surprising. Rose geranium oftentimes overwhelms me and can be too tenacious. Prayer’s rose geranium by contrast, is very wearable as its citrusy aspect gives it a bergamot-esque liveliness which is simultaneously balanced nicely by the grounding quality of frankincense. Frankincense and lavender work well together in Prayer as lavender heightens the woodiness of frankincense and frankincense accentuates lavender’s herbaceous aroma. As the rose geranium and lavender bid a leisurely farewell, frankincense remains steadfast with its incenselike essence and a remarkable creaminess that appears in the drydown. Perfect for an oil called Prayer. Gabrielle is my undisputed favorite of the four Nectar Body Oils as rosewood (sustainably harvested), Bulgarian rose absolute, pine absolute and jasmine grandiflorum are among notes that I prize. Jasmine is at the core of Gabrielle, giving it a juicy sweet richness that is supported by woods and rose. Orange blossom is not listed in the ingredients, but its note seems to shine through Gabrielle’s drydown. How I love to be enveloped in bright citrusy florals! Amma is a soft floral that reminds me of the perfect scent for a summer wedding. It’s light and girly and you’d be hard pressed to find someone averse to having the seat next to you. Rose, tuberose and linden blossom absolutes flaunt their flowery vitality, but I find it to be the least complex of the four Nectar Body Oils. It’s the most linear of the bunch, which isn’t necessarily a negative, but when compared against the others, Gabrielle and Prayer specifically, I am drawn to their more sophisticated nuances. Ripe is scented with neroli absolute (orange blossom absolute), sandalwood and mimosa. Mimosa can turn sharp on my skin, therefore it is not one of my preferred notes. I enjoy mimosa more when it is blended lightly with many other botanicals, but it stands out too much for my liking in the top and middle of Ripe. Upon the drydown though, mimosa settles, becoming less high pitched and more honeyed. This mellowed sweetness melds fluidly with neroli and sandalwood, so hurray! the lovely drydown redeems Ripe in the end. Leave a comment and you’ll be entered to win a bottle of Prayer Body Oil (gently used by me for the review) Another winner will receive samples of Gabrielle, Ripe and Amma. 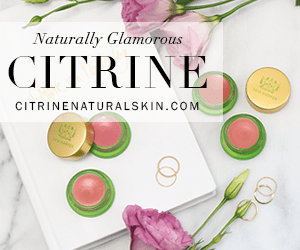 Extra entries if you follow Scent Hive on Bloglovin, Twitter, Google Friend Connect, Facebook’s Networked Blogs, or subscribe to Scent Hive. Please let me know in your comment what you did so you get the entries you deserve! Drawing will close Sunday June 20th at 3pm PST. Drawing closed, we have our winners. UPDATE: Janna has offered up a Gabrielle Body Oil and a Gabrielle Bath Salt as well! More chances to win…woo hoo! Janna Sheehan, creator of Trance Essence, makes perfumes as well. While her Nectar Bath & Body line are 100% natural, the perfumes are 75% natural. The other 25% is made up of perfume oils which contain synthetic aromachemicals. Trance Essence Bath & Body is available at BeautyHabit. $46 for a 2oz bottle. Disclosure: Samples from Trance Essence were provided for this review. The opinions in this review are my own. I was not financially compensated for this review or any other. These sound lovely!! I’m especially loving the sound of Gabrielle. The sound of it reminds me that I must sniff some of the jasmine grandiflorum absolute hiding in my fridge. Can Prayer be used on the face?- my skin usually loves frankincense (hydrosol). I cannot get into bed after a shower without putting on a body oil, it is the best night treatment for the body for sure. Love to be entered in the contest. I am a FB fan, subscriber, bloglovin and just recently became a follower on twitter, even though I have no idea how twitter works! Great post T, I was just checking out this line the other day on BeautyHabit. If you love linden, then Amma is a must try as it’s very pronounced in that oil. But Gabrielle….wow, such a beauty! Hi, Prayer sounds like it could just be my thing! I’m suffering extreme jet lag at the moment. Wish I had some now. Please enter me, and I’m a subscriber. Prayer would be perfect for jet-lag! 2 entries for you and thanks! That’s 4 entries, and best of luck! These sound great, Please enter me! Thanks for all the follows, that makes 3 for you! Amma sounds heavenly. I have a weakness for linden blossom. I’m also intrigued by Ripe because I like the tartness of neroli. I could be partial to the summer season since usually I swoon for woodsy scents. Like I was telling Angie above, since you adore linden, you’ve got to try Amma! They all sound great, especially Prayer! I follow your blog on facebook, twitter, bloglovin and I’m a subscriber. Thanks! 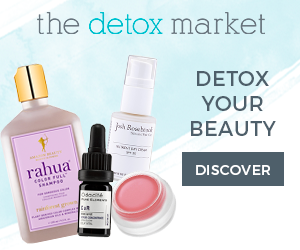 These natural products look amazing! Great review! – I subscribed to Scent Hive. Thanks for the follows, you’ve got 5 entries! They all sound lovely, especially Gabrielle. I dont use body lotions anymore, been on a body oil kick for years now! Thanks TT 🙂 And thanks for the follows. That’s 3 entries for you and good luck! Trish these drive me crazy cause I just want and WANT. And I adore oils in the summer because of the lighter scent they leave behind plus the glow of well- moisturized smelly skin. Hah so here’s to my never -ending love of scents! I have you as my FB friend and I’m also a FB fan and I gotcha on google friend connect too. Take care and good luck to all! I know about the “I wants” 😀 I figure I should share what I receive and then Janna so generously stepped in and offered the Gabrielle items! So yes, another giveaway. 5 entries for you my dear! PS: I’ve been wearing V&SP Fir-Ever Young these past couple of days, it is so lovely! Fir-Ever Young has become a wonderful friend to me this past month also, isn’t it divine? I love the almost jam like juiciness and smokiness of the absolutes in it. And I love when I apply the emerald green drops, it makes me feel like a wood nymph with her magical potion. Scent and imagination go together no? Oh thank you babe 😉 Aha yes , go right ahead, quote away! I adore Laurie’s V.S.P.P. products and will always sing her praises. There’s another Tamara on here now huh? But there can only be one ME. JKJK haha ok I’ll go by my name with a lil’ star at the end along with my last name initial, how’s that Trish? Oh, body oils! I love a good body oil and would love to try this. I’m a twitter & blogger follower. Thanks Ines, that’s 3 entries! Hi Trish! I love body oils too! I’m now using the lavender one by Dr Hauschka as well as Perfect Sculp by Decleor. These ones sound lovely! Oh, these sound lovely! Thank you so much for entering me, I am a blog follower as well! You are very welcome Ellen 🙂 Thanks for the follow. 2 entries for you! Gabrielle for me all the way-sounds like something I will have to try and I love the name-being a word person Trance essence just holds so many associations and connotations. these all sound lovely! i subscribe using google reader. Thanks E, that’s 2 entries. Thanks for the 5 entries/follows! I love the sounds of the scent blends for these, intrigued by all of them of course! I am on Scent Hive FB, and Blog. Thanks for entering me. Thank you for the follows and for reading 🙂 That’s 3 entries for you! I love natural body products! Those sound just wonderful….. I follow on Facebook, twitter, bloglovin, google friend, and subscribed to your blog. I have never won anything on a blog, so this would be really exciting! Wow, I am overwhelmed by all the posts! Thank you all for your interest. We could not be more excited to be launching this line as not only do I love scent but am a body product fanatic! I recently found your website after your post on NST. Loving all the information and recommendations! 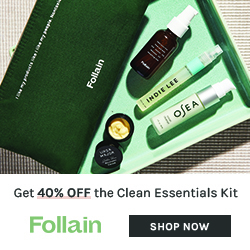 I recently have started switching my toiletries and cleaning products to more “green” ones, so your website has been a great help. Do you use a shaving gel/cream? I’ve only tried one (eos) and I didn’t like it so any suggestions would be great! So glad you found Scent Hive! As far as a shaving cream, I love Weleda’s. I also like to use oils for shaving, jojoba oil is a great one! If Ripe smells as good as I imagine then aaaaah…it would be perfect! I follow Scent Hive on Bloglovin, Twitter, Google Friend Connect, Facebook’s Networked Blogs, and have subscribed via email to Scent Hive(freeeedz(At)yahoo(dot)com. I hope you get the chance to smell Ripe! And with 6 entries, you just might! These scents sound wonderful. Thanks for a chance to win one! I am a GFC follower. Thanks Trish!